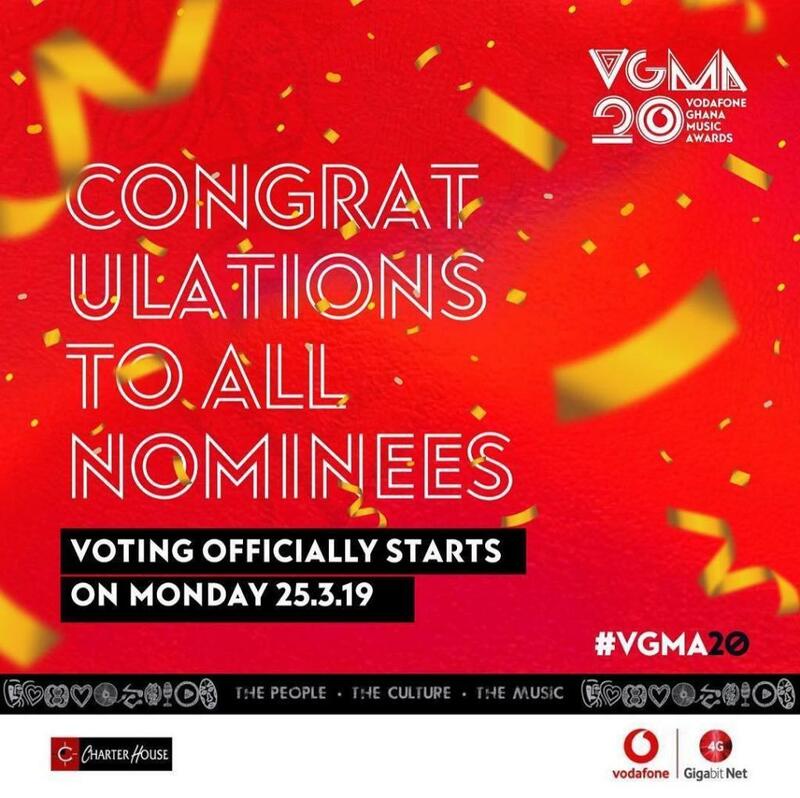 Organizers of the Vodafone Ghana Music Awards, Charter House Ghana, have issued a reminder to the general public that the official voting for the awards scheme begins tomorrow Monday, 25th March, 2019. Speaking in a chat with Attractivemustapha.com , the Public Relations Officer of Charterhouse,in the person of George Quaye outlined the categories that are eligible for public voting and the non-voting categories. Notable musicians competing for the ultimate crown which is the artiste of the year are the “Rockstar” Kwami Eugene, Stonebwoy, Shatta Wale, King Promise, Sarkodie, Joe Mettle and it is open for public voting. The voting code which is 1767 across all networks remains unchanged with possibly an official voting website for people who would want to vote through online platform. The voting According to George Quaye who spoke in an interview with Attractive Mustapha will run from now till early may since the event is scheduled for Saturday, May 18, 2019. The Vodafone Ghana Music Awards is 20 years since its inception. The event calendar for VGMA 2019 starts on April 6 with a Nominees Jam at the Kumasi Mall, continues on May 16 with the VGMA Industry Awards Night in Accra before the main awards on Saturday, May 18. Keep following Attractivemustapha.com for updates and more stories.